The Korea Herald carried an interesting article this morning on how Buddhist leaders in Korea are using information technology to reach out to the masses. The article started by noting that "...the preconceived stereotypes of Buddhist monks living in ascetic, rustic conditions nevertheless do not blend well with smartphones. Yet monks are chatting and texting, and spreading Buddhist teachings, on cell phones everywhere from Dongguk University in the heart of Seoul to the sandy courtyards of mountain hermitages." 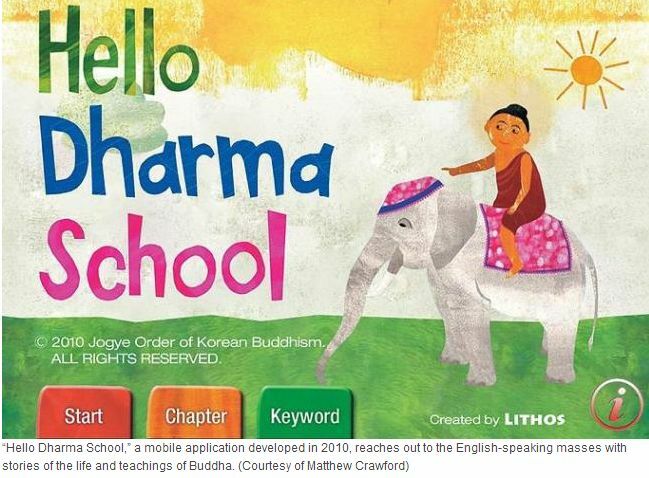 TheJogye Order,the largest Buddhist order in Korea, has been developing cutting-edge smartphone apps to spread the message of Buddhism. 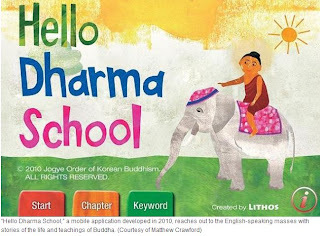 "Starting with the “Hello Dharma School” application in 2010, the Jogye Order’s Office of Missionary Affairs has developed eight apps and is working on several more."